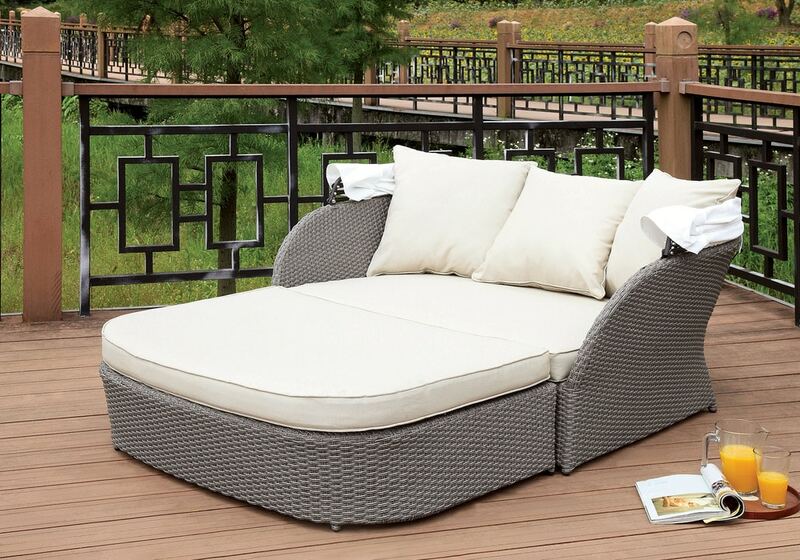 Take a nap or simply get some sun with the patio canopy daybed. White fabric awning shades you as the spacious daybed provides a perfect way to lounge. Easily adjust the piece to become a sofa with its versatile design and rest assured knowing the weather resistant piece will last for years to come.